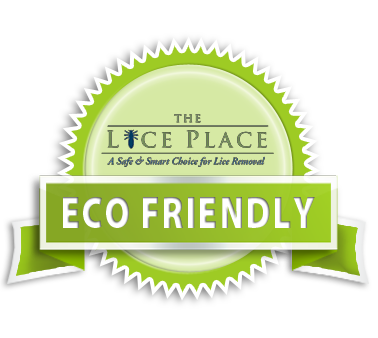 The Lice Place is the best company in Alabama to receive lice treatment services and products from. Both our products and services are affordable and easy to receive. They offer the most effective and the safest cure to the head lice problems. Our Spring Lice Treatment Products are worth using. They will not only help you stay lice free in a natural way but will also make your hair healthy and shiny. The Lice Place has developed a range of lice treatment products that include TLP mousse, spray, shampoo and conditioner. All these products are formulated using natural ingredients, like mint, peppermint and Neem oil. They are pesticide free, non-toxic products that do not contain any harsh chemicals. If you use them on a regular basis, you will never get infested with head lice and nits as they offer natural and total defense from future infestations. We also offer a TLP terminator comb that has patented unique spiral micro-grooving, which drags nits out and destroys them. You can easily use our products at home and can order them online. They make the best safeguard from lice when you are out of the town or cannot visit clinics to get lice treatment services. The Lice Place is well-known for providing safe and effective cure to the head lice problems. We are a company that is owned and run by a registered nurse. At The Lice Place, you will always get honest and quality services at affordable prices. Countless numbers of families and individuals have received our lice treatment services and have got rid of lice forever. No other company in Alabama can surpass The Lice Place for its effective and safe treatment method that has the highest publicized success rate in the country. We also offer free post treatment head checks for 3 months and our treatment services are backed with a 30-day guarantee. Call The Lice Place today at 205-425-5165 if you want to know more about our Spring Lice Treatment Products. With our professional guidance and safe lice removal products, you can keep your family lice free for years.